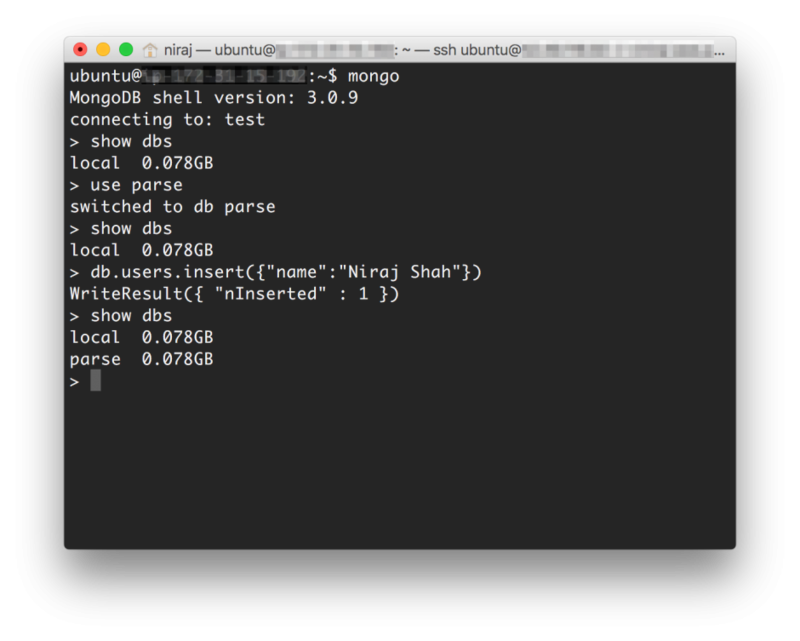 To install the latest version of MongoDB on your Ubuntu instance, run the following script as root / sudo. This will update the apt-get package manager to access the official MongoDB repository and install the latest version of the software. Thanks for this tutorial, its very clear. One question: If I import db from Parse to Mongodb, does this action will remove my parse db from host or it will stay there? If you Import or Migrate your data away from Parse, it will still be available on Parse until you manually delete it (or until the service closes down in Jan 2017).